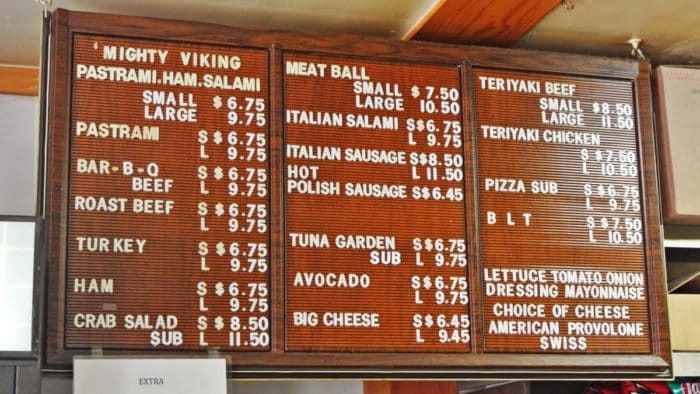 With a name like Vikings Giant Subs, I was ready to be utterly blown away by massive sandwich portions. 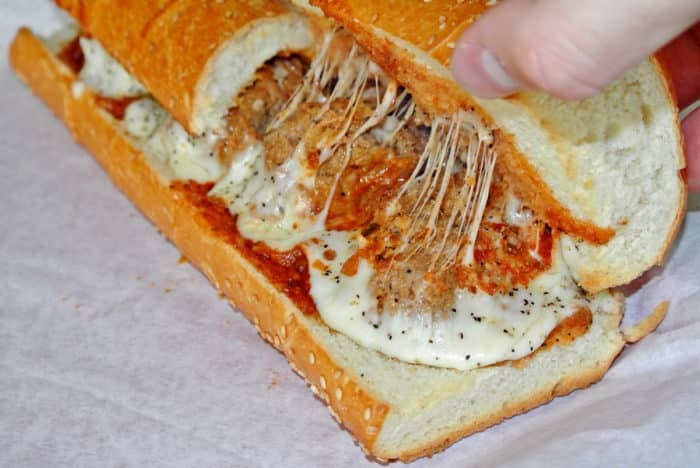 This sub shop has with a very positive reputation that it’s built over the past 15 years and I was excited to figure out if it could fill the Meatball Parm void moving from NYC to SF left in my life. On a daily basis, I find myself missing New York’s Alleva and their absolutely perfect Meatball Parm so I’ve been on a constant hunt for its replacement. 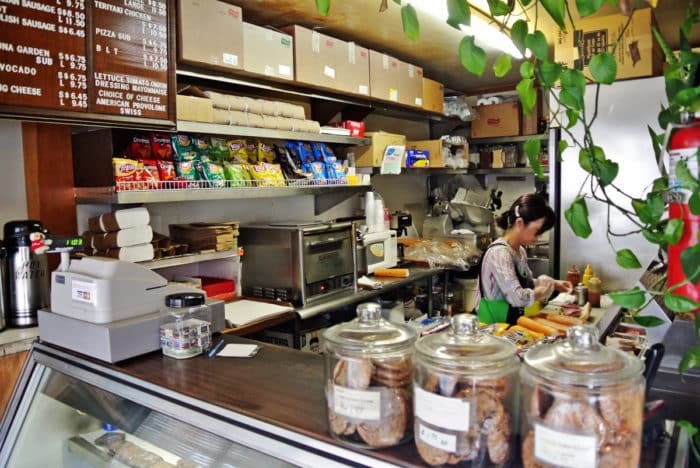 One day, I took a nice walk from my apartment to the divey hole-in-the-wall and stepped right up to the register to place my order with the single, middle-aged Asian woman running the place. I then grabbed a seat and waited for my meal to be prepared. 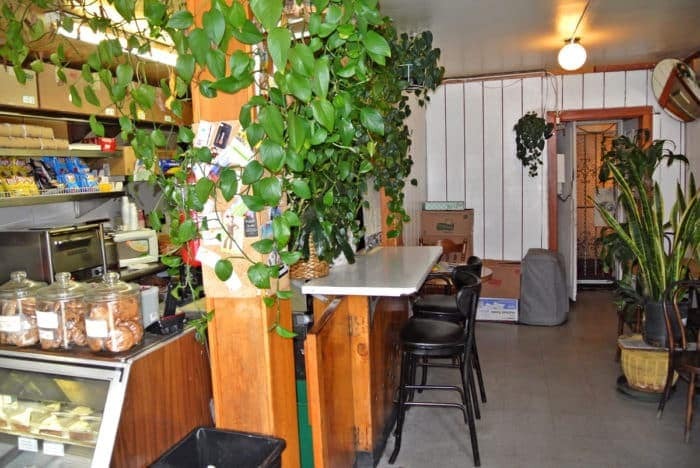 The shop’s decor was strange – it sort of reminded me of Grandma’s un-updated 1970s basement with orange-tinged wood paneling and an jungle-like assortment of live plants lining the space. Old, beat-up, wood chairs and decades-old cork boards with tacked-up business cards coating their surfaces accented the shop’s decor. But, I wasn’t going to Viking’s for ambiance, so that was all OK with me. 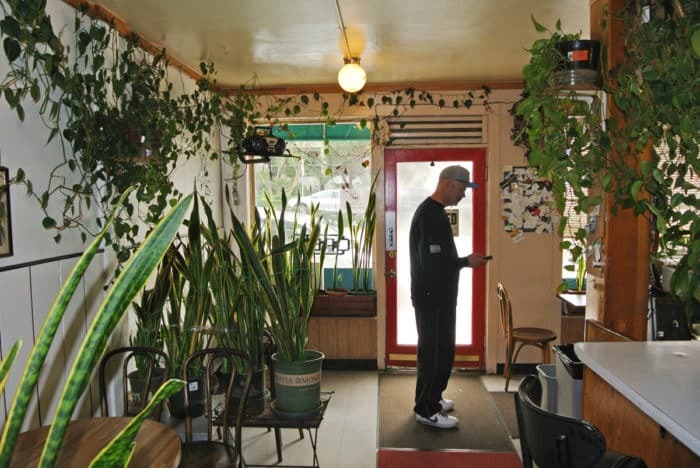 Actually, I’m probably the first person in ten years to actually sit down and eat in the place – I think everyone else comes for take-out. 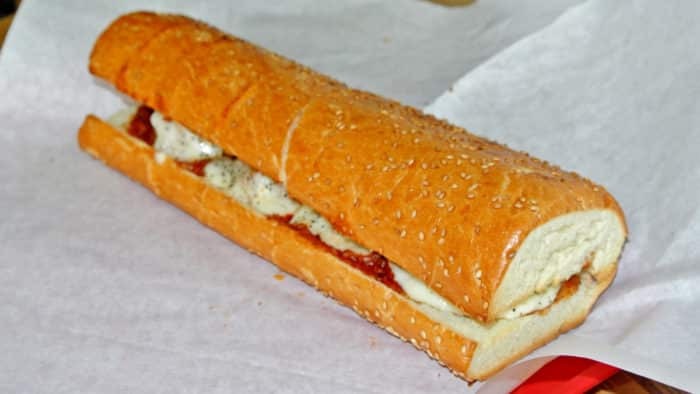 I was there for that large Meatball Sub and after a good five or ten minute wait, my sandwich was ready for consumption. I ordered the ‘large’, which probably would be a sufficiently sized meal for two ordinary people to consume, but I’m no ordinary guy. I was hungry and by God I was gonna eat the entire large sandwich by myself. It really was massive. 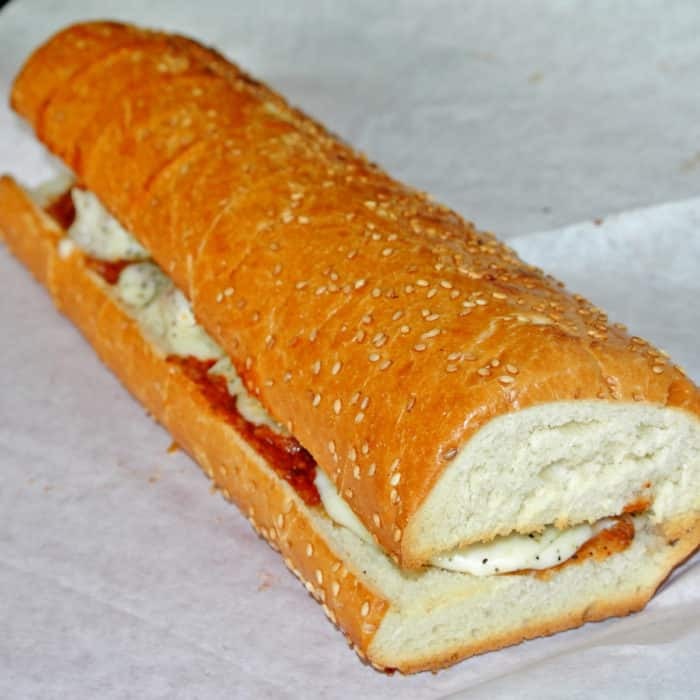 It came on a footlong French baguette roll and was plated on a large, red, cafeteria tray. The bread’s texture was outstanding, especially after it had developed its signature toasted and crisped exterior after spending time in the compact oven. The cheese also became nice and melty which helped fuse all of the sandwich elements together into one delicious, hot, cheesy mass. The heaping portion of meatballs inside amply filled out the entire length of the arms-length roll was proved to be a very satisfying eating experience. The filling was piping hot, very meaty, moist, tender, saucy, cheesy, and flavorful. And there was a nice peppery kick to every bite of this extremely enjoyable sandwich – I think I may actually have found my Alleva meatball substitute in SF!! So, I think I really did it! I think I actually found a solution to my mentally exhausting meatball predicament. I was living a meatball-less life in SF – but, I have to live like this no more. 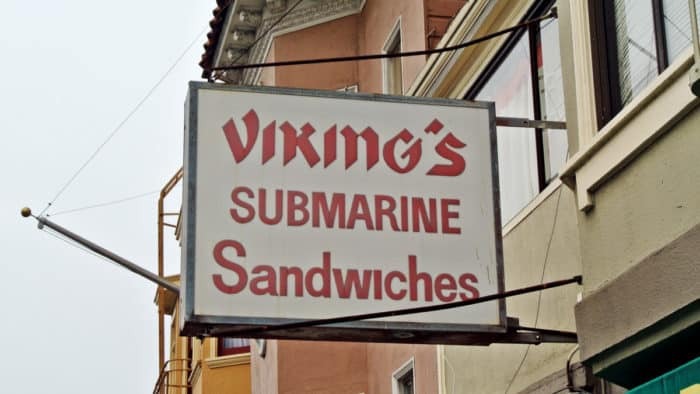 Viking’s Giant Sub served me exactly what I was hoping for – a cheap, massive, delicious, filling, no-frills Meatball Parm sandwich and they knocked it out of the park. I’ve got a feeling I’m gonna be back… often. 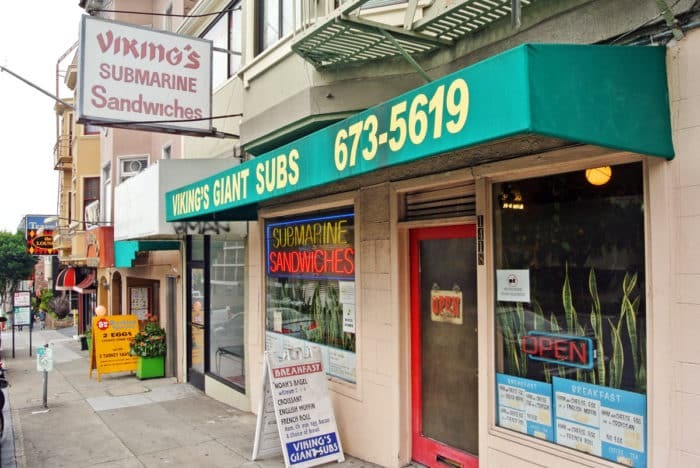 Got another awesome SF sandwich shop I should check out? Let me know in the comments below.